Build your image while you build your business with professional marketing materials printed by The UPS Store at 1380 Rio Rancho Blvd SE. 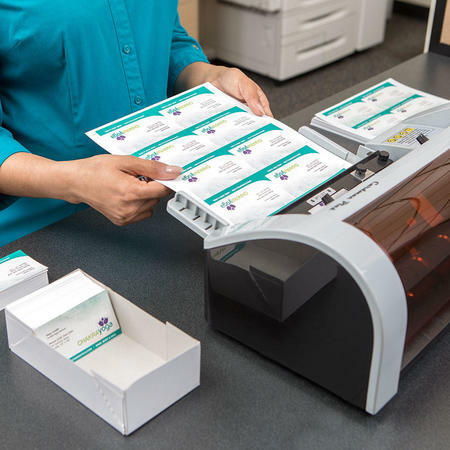 From business cards to menus, we're here to help you market your small business in Rio Rancho with our professional printing services. Our online printing is a convenient and cost-effective way to handle all your printing needs. Handle it right from your computer, upload, customize, preview and submit your project from anywhere and then come pick it up at your convenience. Looking for more hands-on help? Schedule an appointment or stop by today to get a one-on-one print consultation with the professionals. We can even help you design your materials so you can make a lasting impression. Sleek eye catching brochures will inform your clients about the services you offer or an in-depth look at a product you are selling. Whether to be used as an hand out, or as part of a display, Brochures are a great way to get the right information into your clients hands. 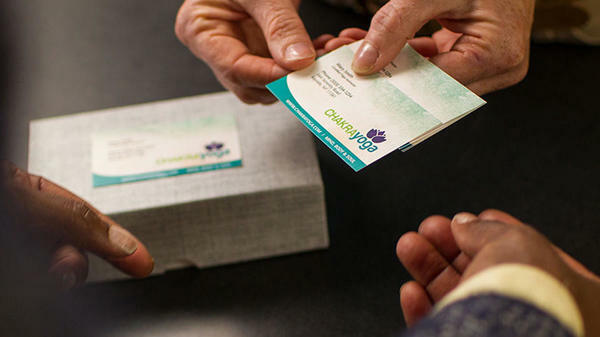 Business cards cement introductions, expand conversations and leave a lasting impression. They are a simple necessity and easily one of the best marketing tools you have. 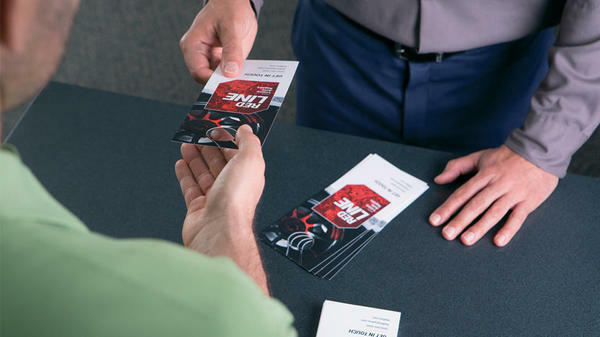 The UPS Store offers hundreds of business card templates you can personalize , or you can upload your own design. 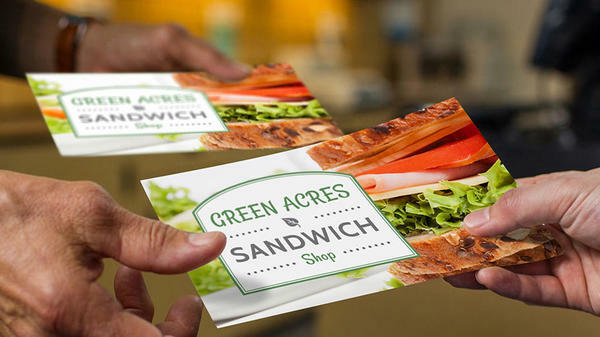 Available in a number of sizes, postcards are versatile attention grabbers that effectively advertise your business. Use them as appointment reminders, handouts, event inserts or mailers to announce your grand opening, or promote an upcoming sale. No matter how small your small business, Postcards are an affordable and effective marketing option. Get started with your order online today. Showcase your cuisine with professionally printed menus. 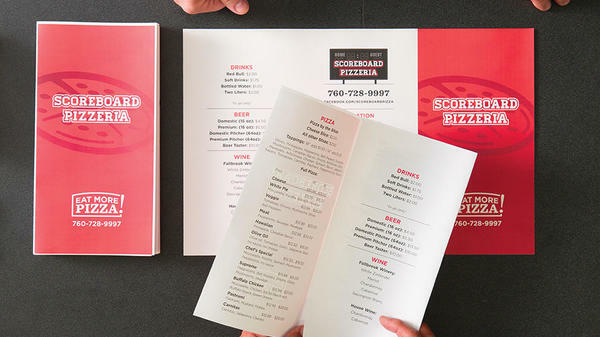 Create take-aways or premium tear-proof menus for any establishment. With our different sizes, paper and finishing options your customers will be hungry for more. 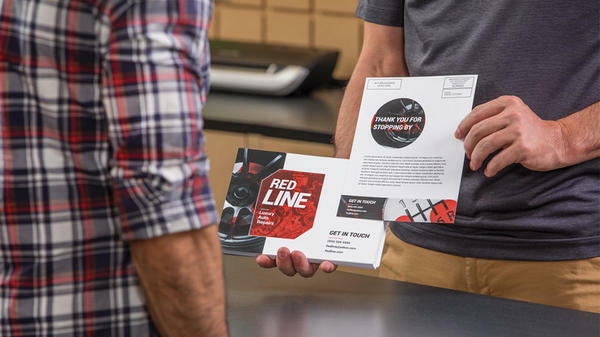 When you're looking for a cost-effective or a more targeted mailing, come to The UPS Store and we'll help you put together a complete direct mail campaign from start to finish. There's no mailing list to buy or postage permit to worry about. Simply choose an area you'd like to advertise, and we'll handle the logistics of having your direct mail advertising piece printed and delivered to every address in that neighborhood. Start your direct mail project online or schedule an appointment for a print consultation. When you want to say it BIG, we offer wide format printing in a variety of media and size choices guaranteed to make an impact. 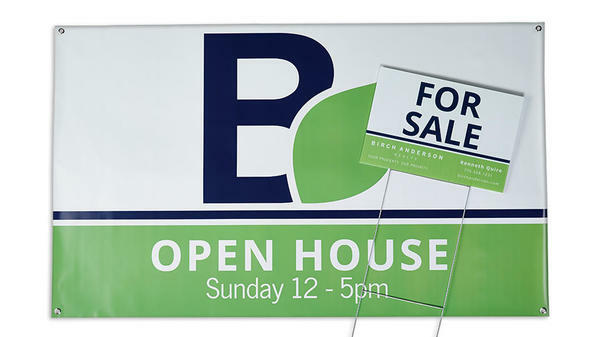 A perfect door to door communication tool to advertise your business or service. Professionally printed door hangers from The UPS Store easily slide onto any door handle and will be sure to grab your customers attention. Choose from one of our pre-designed templates or upload your design today and pick up your order at The UPS Store on 1380 Rio Rancho Blvd SE. Website Privacy Notice for The UPS Store Center Kmac Inc. This privacy notice ("Notice") describes the practices related to information collected by the individual The UPS Store entity Kmac Inc. (referred to in this Notice as "Franchisee", "our", and "we") from visitors to this website ("Website"). This Notice only applies to information collected on our Website(s). This Notice does not describe the information collection practices of The UPS Store, Inc., United Parcel Service, Inc. ("UPS"), or any of its subsidiaries or affiliates, or any other The UPS Store franchisee. To the extent required by applicable law, California residents may ask us to provide them with (i) a list of certain categories of personal information that we have disclosed to third parties for their direct marketing purposes during the immediately preceding calendar year, and (ii) the identity of those third parties. To make this request, California residents may contact us as at store0139@theupsstore.com. Welcome to the website of The UPS Store Kmac Inc., a The UPS Store center location independently owned and operated by Kmac Inc.. This Website is provided by, or on behalf of Kmac Inc.. This Website may be accessed from various locations both within and outside the United States of America (“USA”). Access to and use of the Website, including functionality and features and products and services available through the Website, may be inappropriate, prohibited or restricted in certain jurisdictions outside of the USA. In addition, certain functionality and features and products and services available through the Website may not be available in jurisdictions outside the USA. We make no representations or warranties that the Website is appropriate or available for use outside of the USA. If you access or use the Website from outside the USA, you do so at your own risk and are responsible for complying with the laws and regulations of the territory from which you access and use the Website. This is a general audience website and users of all ages are welcome to browse the Website. However, if you are under the age of legal majority to form a legally binding agreement under applicable law, you should not use any of the products or services offered on the Website, download any Materials or Software, or provide any information about yourself through the Website. The Website Privacy Notice for The UPS Store center Kmac Inc. posted on this Website governs the use and disclosure of personal information collected from or provided by you at the Website.